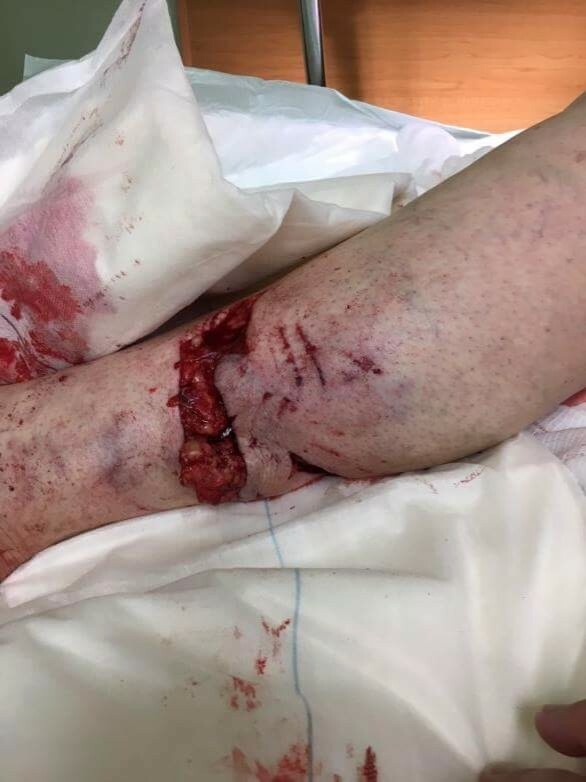 Dogs Bite Decatur Al: ST. ALBANS VT - LISA DEMAR WAS VICIOUSLY ATTACKED BY A PIT BULL WHEN SHE WENT TO AN ACQUAINTANCE'S HOME TO PICK UP KEYS FOR A FRIEND - HER LEG WOUNDS ARE HORRIFIC AND HER FAMILY SAYS THAT NOTHING HAS BEEN DONE TO HELP HER!!! ST. ALBANS VT - LISA DEMAR WAS VICIOUSLY ATTACKED BY A PIT BULL WHEN SHE WENT TO AN ACQUAINTANCE'S HOME TO PICK UP KEYS FOR A FRIEND - HER LEG WOUNDS ARE HORRIFIC AND HER FAMILY SAYS THAT NOTHING HAS BEEN DONE TO HELP HER!!! Hospital visits, pain and infection have taken over a St. Albans woman's life after she was reportedly attacked by a dog. 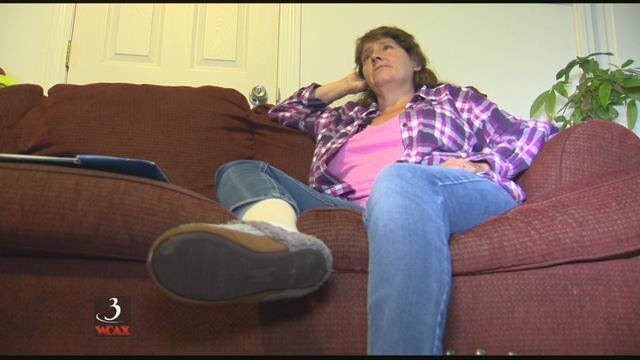 Worried about her well-being her family contacted WCAX saying although the attack happened this fall nothing has been done to help her. It's been nearly two months since Lisa Demar woke up in an ambulance face to face with a terrifying reality. "Both legs. They got my left and down here on my right," said Demar. She says she was attacked by a dog when she stopped by an acquaintance's home to pick up keys for a friend. Now, she says her wounds and the infection that has taken over leave her in pain unable to work. Demar's family sent WCAX photos of her injuries when they were still fresh, but we chose to blur the images because they are graphic. "Fighting to still keep the leg," said Demar. Attempts to talk to the dog's owners were not successful. WCAX wanted to ask St. Albans police what is being done about the dog, but no one would speak on camera. A police report of the incident shows the dog is still with its owners being confined to their property and it's muzzled if it's outdoors. The police do not plan to pursue further action. But for Demar, that's not enough. She wants the city to take action. "I've only gotten like two different phone calls from two different men so I don't even know who is who," said Demar. According to St. Albans City law, when a pet has bitten or attacked a person the victim should file a written complaint with the Animal Control Officer or City Council. That way the city council can weigh whether a hearing about putting the dog down or taking other measures would be necessary. But when WCAX heard back from the town manager later Thursday, Demar and her family may have talked to city officials and he has talked with her lawyers, but she must file a written complaint. It is not clear if it's been explained to her that she needs to do that. When someone's dog does something like this to a person it should be treated the same as if the dog owner did it themselves. They should do serious jail time, dog gets put down, no if ands or buts!